Common Entrance Test of Osmania University @ OUCET Results 2016 is expected to be declared on 24rth June 2016.OUCET 2016 results will be announced online on June 24 after 12.30 pm. Candidates can download their oucet result on www.osmania.ac.in. An official media release on 22.06.2016 informed that the oucet results 2016 would be declared by the registrar on the osmania university campus in the presence of Subject deans and university colleges principals. Candidates who have attended the entrance examination during 6th June and 14th June 2016 for various courses can access their oucet result 2016 after official announcement by following the osmania official oucet site www.oucet.ouadmissions.com. 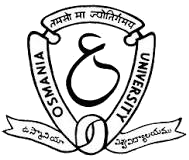 Osmania University will be conducting the Common Entrance Test(CET) examination every year to give admissions to all th ose eligible and talented intellectual students who want to pursue various pg courses under the Osmania University. Accordingly, the OU PGCET 2016 examination had been successfully and peacefully conducted by the University admissions section officials to provide admissions for different pg courses for the academic year 2016-2017. Recently, there is an update news that the OUCET Result 2016 of all the examinations are to be declared on 24rth oucet results 2016June 2016. Candidates who have been waiting for the OUCET Result 2016 can access the result by simply following the official site or we are giving direct links bellow.